The future of work is a key discussion point at the World Economic Forum's Annual Meeting 2017. For more, watch the Jobs and the Fourth Industrial Revolution session here . Rapid technological advances and the digitization of the workplace are making it harder for workers to match their skill sets with the needs of employers. 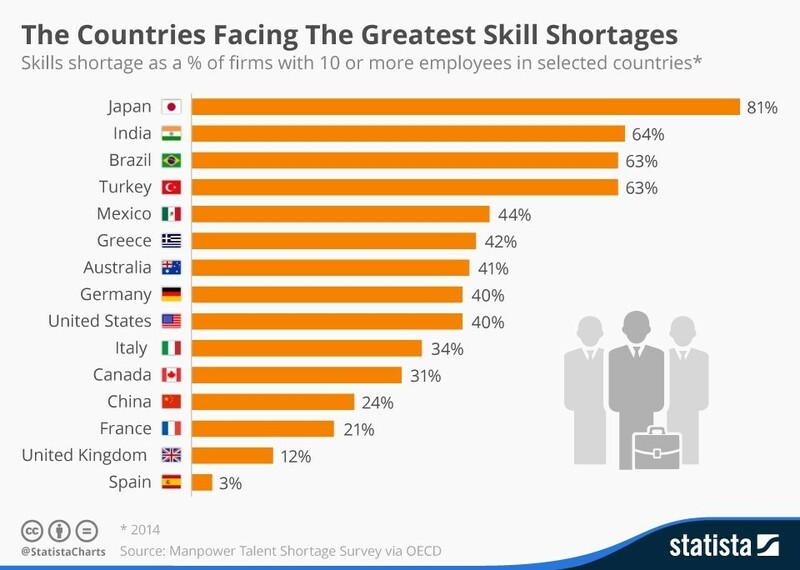 The scale of the problem varies from country to country, but is particularly bad in Japan, where 81% of firms (with 10 or more employees) have difficulty finding qualified employees, according to recent data from the OECD . Meanwhile, 45% of workers surveyed by the OECD believe that they lack the appropriate skill sets to do their jobs effectively. This was highlighted as a major issue in Mexico, Japan and Korea. And just three in 10 workers believe that they have the right skills to be able to cope with more demanding work. In Europe, 40% of employers reported in 2013 that they had trouble finding people with the required skills. This shortage was most common in the manufacturing sector, the OECD report says. With the arrival of the Fourth Industrial Revolution , or fast-paced digital progress, technology is transforming the way we work – and workers’ skills will need to keep pace with these changes. As computers get smarter and more capable of doing tasks previously done by humans, employees will need to develop skills that give them the edge over machines, such as critical thinking and creativity. 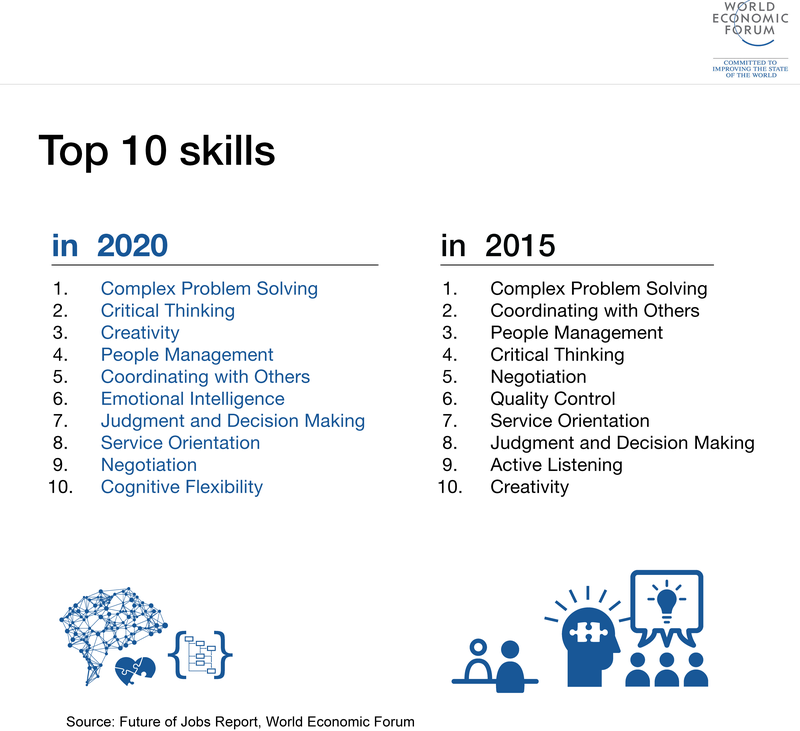 A Forum report, The Future of Jobs , reveals that by 2020 more than one-third of skills that are considered important in today’s workforce will have changed. To help tackle the skills shortage and equip workers for technological change, the report urges business leaders and governments to take a proactive approach to developing the skills of the future workforce.